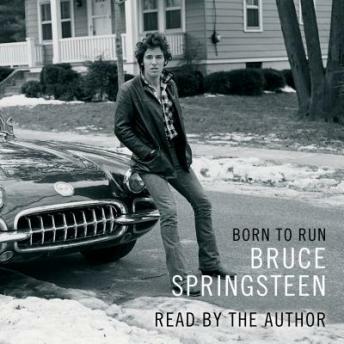 Listen to "Born to Run" on your iOS and Android device. This book is fun, interesting and really inspiring. I have learned a lot and I am grateful to The Boss for having shared so much. I loved that he read his memoirs, listening to Bruce\'s voice telling his story is very powerful. Highly recommendable! I loved this book! I enjoyed being carried through Bruce's honest and open story of his life by his extraordinary voice. He's a wonderful story teller with a very pleasing rhythm, depth and texture to the telling. His heartfelt story of love, family, career, challenges, pain and his commitment to his art took me through a range of emotions, brought tears at times but, all along, his exceptional creative talent and insight shone through. This is a man I enjoyed getting to know. This audiobook is one to keep and revisit. I highly recommend it. Nice to listen to Bruce but way to much boring details. Story should have been half the length. So insightful, pure, surprising and also helpful. I'm not even a huge Bruce fan, although I've always casually enjoyed his music. This book is further proof that every man has a story beyond what their persona shows. An intimate look at a gifted man, who takes responsibility for himself and his life, while paintbig those around him with grace and kindness. I can really hear the poet that he is, in much of his book. ???? An honest sounding narrative of a man's life. The ups, downs and strange events that shaped one of the world's best musicians. Honest and raw. I enjoyed following through the hard yards of Bruce’s journey. Nothing comes easy in life. This book inspires a deeper look into what I can do with what is left of my life. Great read. What a fantastic journey! Bruce really opened up his heart and soul. He\'s a very brave, and courageous artist. Brilliant book and read with meaning, loved it, thanks Bruce . A total surprise in every aspect. Honest , original , heartfelt, soul baring , poetic and insightful. It was a true pleasure to listen to Bruce talk about his life in a way most famous people don't. Loved it.